There’s a way to make variegated yarn look like there is more going on just by making the sections of color line up and then by shifting them slightly. 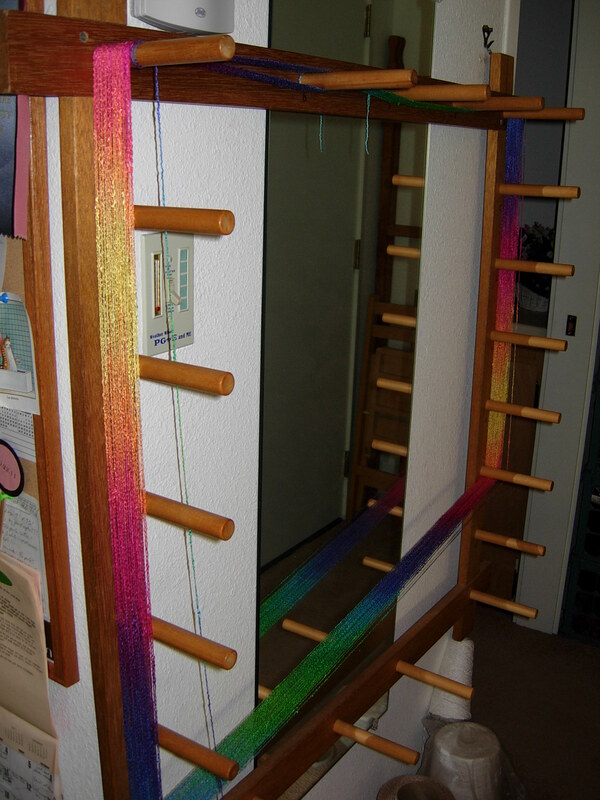 Yarn wound on a warping board in the usual fashion makes the colors fall in random order. But if the same yarn is wound in a circle, you can manipulate those colors to fall together. I like to use the Fibonacci number sequence whenever I set up stripes in a project. So these stripes are 2, 21 or 34 threads wide. In order to give a little more movement and interest to the piece, the multi-colored stripes are shifted by 5 inches. 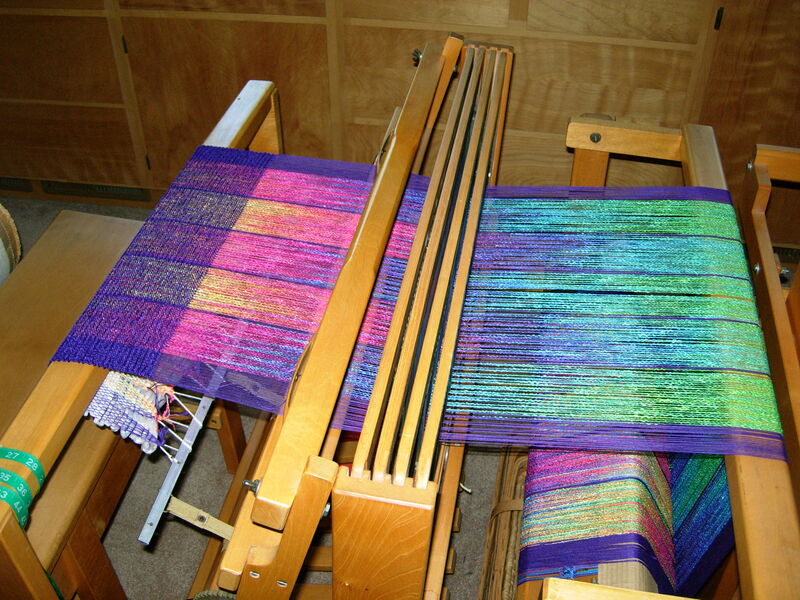 The weft is two different yarns. One is a rayon chenille and the other a 5/2 perle cotton of the same color. The yarns alternate in plain weave using two shuttles. These two yarns together give the shawl a “hand” that is soft and luxurious (the feel of rayon chenille) and still lets the colors of the warp show through. 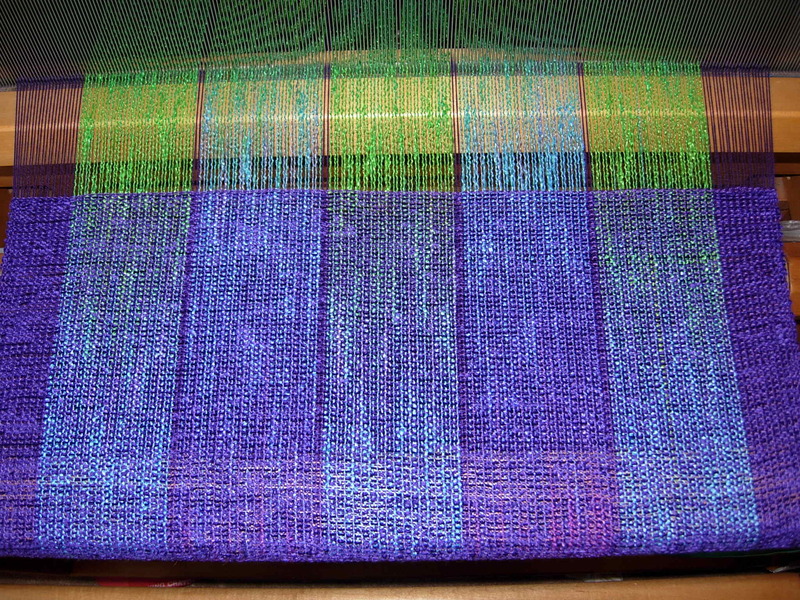 Lots of color excitement on the loom. 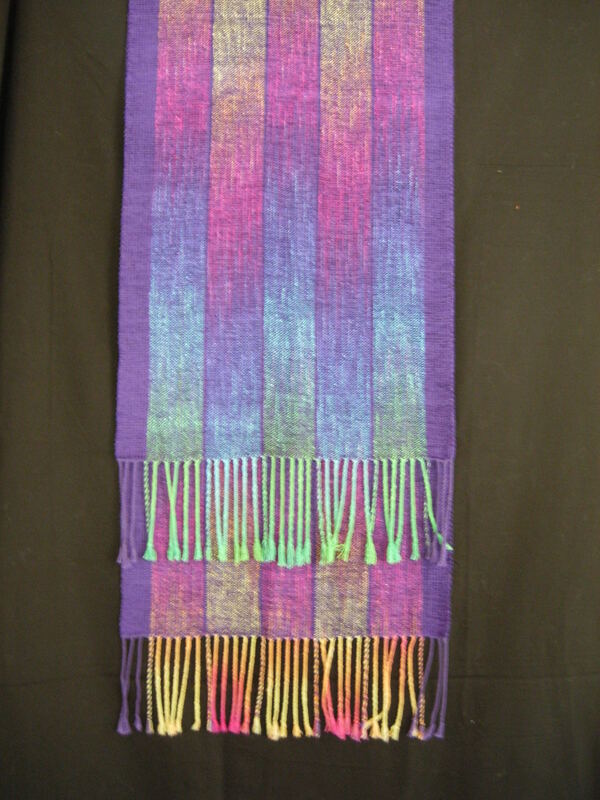 The end result is a shawl with a lot of movement in the color. Nothing boring here.